As the weather as been pretty depressing today we thought that the word gloomy summed up the mood for the day. The Word 음울한 (eum / ul / han) can also mean Dark or Dour, fingers crossed we wouldn’t have to use it much this summer. Please check back tomorrow for another word of the day. 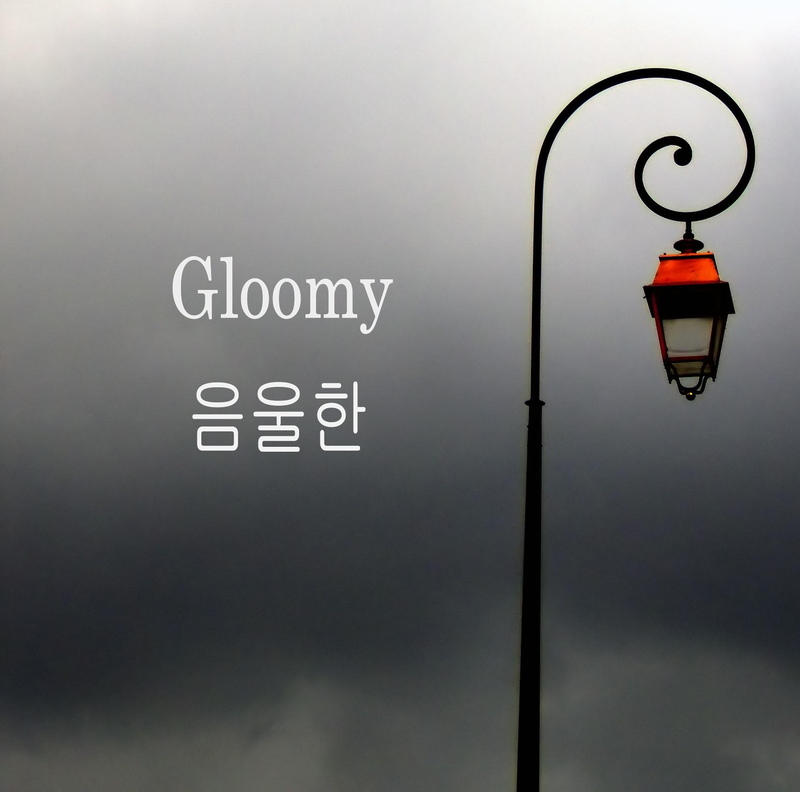 This entry was posted in Korean Word of the Day and tagged Fresh Korean, Gloomy, 음울한, Korea, Korean, Learn Korean, South Korea, Sunday, Weather. Bookmark the permalink. ← Fresh Korean Language Institute is Here!